Martha L. Pettibone was born in 1835. She was the daughter of Levi Pettibone and Martha Lowry. Martha L. Pettibone married Frank Burnett, son of John Burnett and Sally Johnson, on 5 December 1861. Martha L. Pettibone died in 1910. [S104] DAR DAR Lineage book, Vol. LXII:Pg 67/Item 61190. Frank Burnett was born in 1829. He was the son of John Burnett and Sally Johnson. Frank Burnett married Martha L. Pettibone, daughter of Levi Pettibone and Martha Lowry, on 5 December 1861. Frank Burnett died in 1904. [S104] DAR DAR Lineage book, Vol. 62/Item 61190. Augusta Pettibone Burnett was born at Pike Co., MO. She was the daughter of Frank Burnett and Martha L. Pettibone. Augusta Pettibone Burnett was a member on 18 March 1908 at DAR; 61190, Louisiana, Pike Co., MO. William P. Wylie was born in 1809. He was the son of Peter Wylie and Lucretia Holcombe. William P. Wylie married Charlotte French in 1831. William P. Wylie died in 1895. [S104] DAR DAR Lineage book, Vol. LXII:Pg. 329/Item 61965; Vol CXII:Pg. 239/Item 111726. [S25] Hannah McPherson, Holcombe Genealogy, Page 32,1.Item A-4-2-1-1-3-2-1. Charlotte French was born in 1813. She married William P. Wylie, son of Peter Wylie and Lucretia Holcombe, in 1831. Charlotte French died in 1895. Franklin P. Wylie was born in 1840. He was the son of William P. Wylie and Charlotte French. Franklin P. Wylie married Anna L. Norton, daughter of Joseph Andrews Norton and Betsy Ann Hoppin, in 1863. [S104] DAR DAR Lineage book, Vol. LXII:Pg. 329/Item 61965. Anna L. Norton was born in 1844. She was the daughter of Joseph Andrews Norton and Betsy Ann Hoppin. Anna L. Norton married Franklin P. Wylie, son of William P. Wylie and Charlotte French, in 1863. [S104] DAR DAR Lineage book, Vol. 62:Pg. 329/Item 61965. Joseph Andrews Norton was born in 1805. He married Betsy Ann Hoppin, daughter of Curtis Hoppin and Mary Buck. Joseph Andrews Norton died in 1865. Betsy Ann Hoppin was born in 1810. She was the daughter of Curtis Hoppin and Mary Buck. Betsy Ann Hoppin married Joseph Andrews Norton. Betsy Ann Hoppin died in 1888. [S104] DAR DAR Lineage book, Vol. 112:Pg. 239/Item 111726. Mary Wylie was the daughter of Franklin P. Wylie and Anna L. Norton. Mary Wylie married V. O. Holcombe. Mary Wylie was a member in 1907 at DAR; 61965, Washington, DC. V. O. Holcombe married Mary Wylie, daughter of Franklin P. Wylie and Anna L. Norton. Rev. Asahel Holcombe was born on 15 March 1777 at Simsbury, Hartford Co., CT.3,4 He was the son of Return Holcombe and Hannah Niles.3 Rev. Asahel Holcombe married Phoebe Sweet in 1798. Rev. 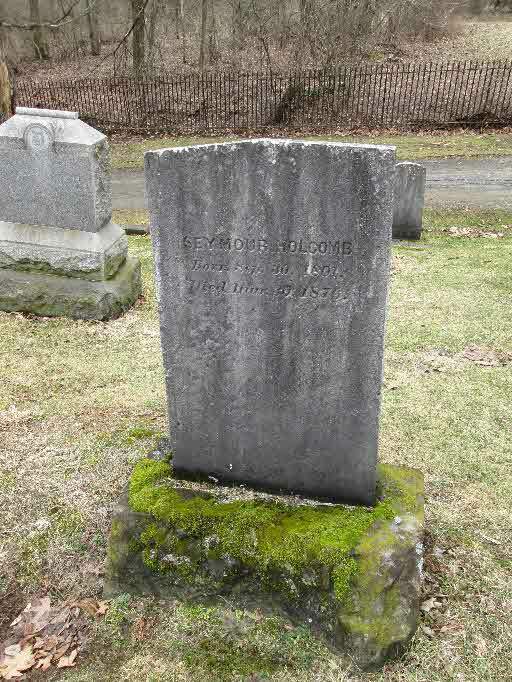 Asahel Holcombe died on 15 March 1840 at Greene, Chenango Co., NY, at age 63.4 He was buried at Lower Genegantslet Cemetery, Greene, Chenango Co., NY. Asahel was a Baptist Minister from Greene and Chenango counties, NY. "In memory of Elder Asahel Holcomb who departed this life March 15, 1840, in the 63rd year of his age. He was born in Simsbury, Conn., moved to this state in his childhood, converted to the Christian faith at sixteen and ordained to the Gospel Ministry at 23. He died in full faith of the Gospel of Christ which he had preached for forty years." [S25] Hannah McPherson, Holcombe Genealogy, Page 34.2/Item A-4-2-10-1-1. [S104] DAR DAR Lineage book, Vol. LVIII:Pg. 147/Items 57433 and 57434; Vol LXXV:Pg 121/Item 74332; Vol. CVI:Pg. 109/Item 105329. [S807] Find A Grave, online http://www.findagrave.com, memorial # 103967711. [S807] Find A Grave, online http://www.findagrave.com, memorial # 168730233. McPherson indicates that Maria was the first child and that Robert S. was the 9th without naming the other children. Adrian's record is from DAR applications. [S25] Hannah McPherson, Holcombe Genealogy, Page 34.2/Item A-4-2-10-1-1-2. [S104] DAR DAR Lineage book, Vol. LVIII:Pg. 147/Items 57433 and 57434; Vol CVI:Pg. 109/Item 105329. [S807] Find A Grave, online http://www.findagrave.com, memorial # 60103944. Adrian Foote Holcombe was born on 19 January 1828. He was the son of Asahel Seymour Holcombe and Celestia Thurston. [S104] DAR DAR Lineage book, Vol. LVIII:Pg. 147/Items 57433 and 57434. Nellie C. Holcombe was born at Portville, Cattaragus Co., NY. She was the daughter of Adrian Foote Holcombe and Louisa Keller. Nellie C. Holcombe was a member in 1906 at DAR; 57433, Washington, DC. [S104] DAR DAR Lineage book, Vol. LVIII:Pg. 147/Item 57433. Cora Holcombe was born at Portville, Cattaragus Co., NY. She was the daughter of Adrian Foote Holcombe and Louisa Keller. Cora Holcombe was a member in 1906 at DAR; 57434, Washington, DC. [S104] DAR DAR Lineage book, Vol. LVIII:Pg. 147/Item 54734. Leland Payne was born in 1818. He was the son of George Miller Payne and Susan Holcombe. Leland Payne married Julia A. Butler. Leland Payne married Martha N. Byfield in 1854. Leland Payne died in 1884. [S104] DAR DAR Lineage book, Vol. LXVII:Pgs. 210, 212, 213, 214, 215/Items 66570, 66578, 66582, 66584, 66585, and 66589. Martha N. Byfield was born in 1829. She married Leland Payne, son of George Miller Payne and Susan Holcombe, in 1854. Jennie N. Payne was born in 1860. She was the daughter of Leland Payne and Martha N. Byfield. Jennie N. Payne married Frank B. Day in 1884. Frank B. Day was born in 1860. He married Jennie N. Payne, daughter of Leland Payne and Martha N. Byfield, in 1884. Frank B. Day died in 1891. Mary Day was born at Franklin, IN. She was the daughter of Frank B. Day and Jennie N. Payne. Mary Day was a member in 1908 at DAR; 66570, Washington, DC. Julia A. Butler was born in 1822. She married Leland Payne, son of George Miller Payne and Susan Holcombe. Julia A. Butler died in 1850. James B. Payne was born in 1849. He was the son of Leland Payne and Julia A. Butler. James B. Payne married Ellen E. Williams in 1872. Ellen E. Williams was born in 1850. She married James B. Payne, son of Leland Payne and Julia A. Butler, in 1872. Ellen E. Williams died in 1889. Helen Payne was born at Franklin, IN. She was the daughter of James B. Payne and Ellen E. Williams. Helen Payne was a member in 1908 at DAR; 66578, Washington, DC. [S104] DAR DAR Lineage book, Vol. LXVII:Pgs. 212, 213, 214, 215/Items 66578, 66582, 66584, 66585, and 66589. Jennie Payne was born at Franklin, IN. She was the daughter of Leland Payne and Martha N. Byfield. Jennie Payne married David H. Keay. Jennie Payne was a member in 1908 at DAR; 66582, Washington, DC. [S104] DAR DAR Lineage book, Vol. LXVII:Pgs. 210, 213, 214, 215/Items 66570, 66582, 66584, 66585, and 66589. David H. Keay married Jennie Payne, daughter of Leland Payne and Martha N. Byfield. Eva Payne was born in 1855 at Franklin, IN. She was the daughter of Leland Payne and Martha N. Byfield. Eva Payne was a member in 1908 at DAR; 66584, Washington, DC. Susannah Ott was born at Franklin, IN. She was the daughter of Dr. Lyman E. Ott and Eva Payne. Jesse and Elura were enumerated in the 1850 Windsor, Ashtabula Co. OH, federal census. He was a farmer, age 60, born in CT; she was 49, also born in CT. Children in the household were Albert 25, a shoemaker, Reuben 21 a laborer, Addison 23 a shoemaker, Celia M. 18, Haris 13, William 11, Alvira 8, Demetrius F. 5, Clarissa 16, and Harvey C. 28. Jesse and Lura were enumerated in the 1860 Windsor, Ashtabula Co., OH, federal census, page 114. He was a farmer, age 70, born in CT; she was 59, also born in CT. Children in the household were Addison 34, Elvira G. 18, Demetrius 15, Albert 36 and his wife Elizabeth age 30 (with their two children Charles 6 and Elizabeth 1), and Clarissa age 28, certainly the widow of Harvey C. Alderman, followed by her three young children, Delmar 7, Wallace 4, and Ida L. 5/12. Delmer and Wallace were Harvey C. Alderman's children. Reuben was living next door. These dates bring into question the date of Harvey's death. Jesse and Elura were enumerated in the 1870 Windsor, Ashtabula Co., OH, federal census, page 7. He was a farmer, age 80, born in CT; she was 68, also born in CT. Daughter-in-law, Elizabeth Brennan Alderman was in the household, she was 36 and born in Ireland. There were four children in the household, all born in Ohio: Lillie 11, Hoeber(?) B. 4, Alton 2, and Wallace 14 (probably the son of Harvey C.) Phares was living next door. Arta Payne was born on 19 November 1867 at Franklin, IN. She was the daughter of Dr. Philander Winchester Payne and Mary Forsyth. Arta Payne was a member in 1908 at DAR; 66589., Washington, DC. She died on 13 November 1941 at age 73. [S104] DAR DAR Lineage book, Vol. LXVII:Pg. 215/Item 66589. [S25] Hannah McPherson, Holcombe Genealogy, Page 209/Item A-8-3-4-8-8-7-3. The DAR notes indicate that Hannah was Eleazer's 1st wife, but McPherson does not indicate a 2nd. Eleazer Bullard was born in 1787. He was the son of Joel Bullard and Mary Holcombe. Eleazer Bullard married Hannah Watson in 1812. Eleazer Bullard died in 1856. [S25] Hannah McPherson, Holcombe Genealogy, Page 197/Item A-8-3-3-2-1-2. Hannah Watson was born in 1779. She married Eleazer Bullard, son of Joel Bullard and Mary Holcombe, in 1812. Hannah Watson died in 1830. Emeline Bullard was born in 1815. She was the daughter of Eleazer Bullard and Hannah Watson. Emeline Bullard married Squire Brewer, son of Harvey Brewer and Polly Stebbins, in 1831. 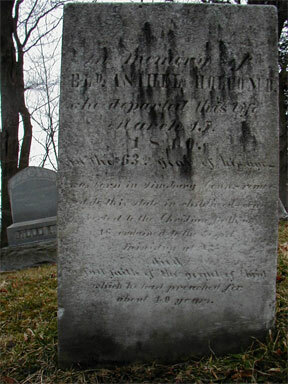 Emeline Bullard died in 1876. [S25] Hannah McPherson, Holcombe Genealogy, Page 197.2/Item A-8-3-3-2-1-2-2. [S104] DAR DAR Lineage book, Vol. LXIX:Pg 199/Item 68550. Squire Brewer was born in 1811. He was the son of Harvey Brewer and Polly Stebbins. Squire Brewer married Emeline Bullard, daughter of Eleazer Bullard and Hannah Watson, in 1831. Squire Brewer died in 1849. Marietta Brewer was born at Berkshire Co., MA. McPherson shows Oscar as "Oscar DICKENS"; DAR records are correct. She was the daughter of Squire Brewer and Emeline Bullard. Marietta Brewer was a member in 1908 at DAR; 68550, Washington, DC. [S25] Hannah McPherson, Holcombe Genealogy, Page 197.2/Item A-8-3-3-2-1-2-2-1. Harvey Brewer married Polly Stebbins. Harvey Brewer died in 1866.